Imagimake is dedicated to help children express themselves creatively. Their range of toys offer a unique, constructive & fulfilling experience that win the hearts of not only the child but also the parent! 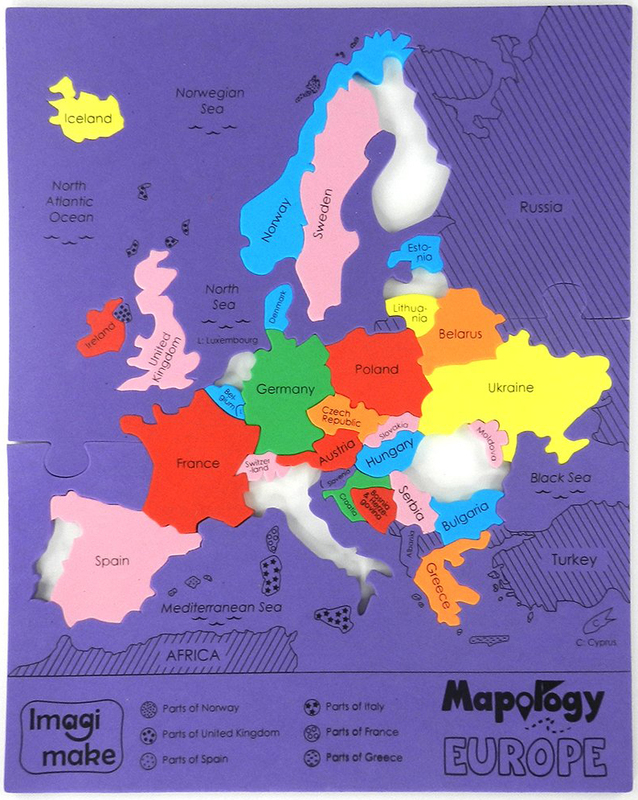 Foam puzzles of the World and Europe, with country shaped puzzle pieces. 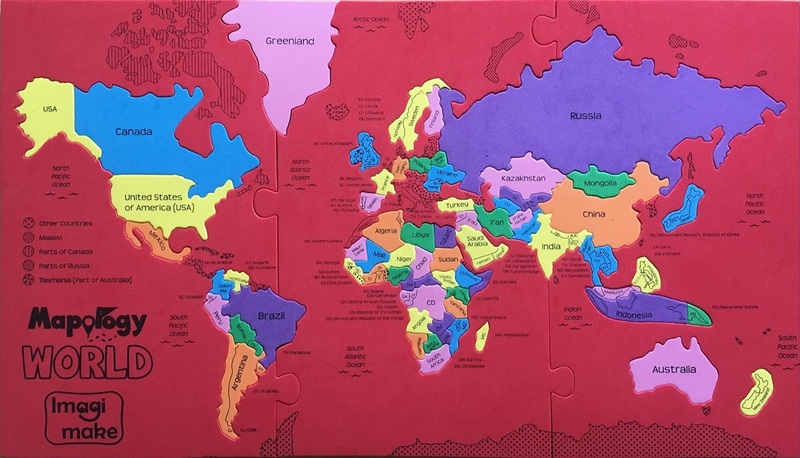 A unique and fun foam puzzle to learn the 100 largest countries in the world. All country pieces are cut in the shape of the country as per political map and snugly fit with each other to create the World Map. This map puzzle takes you to a journey through the European Continent. 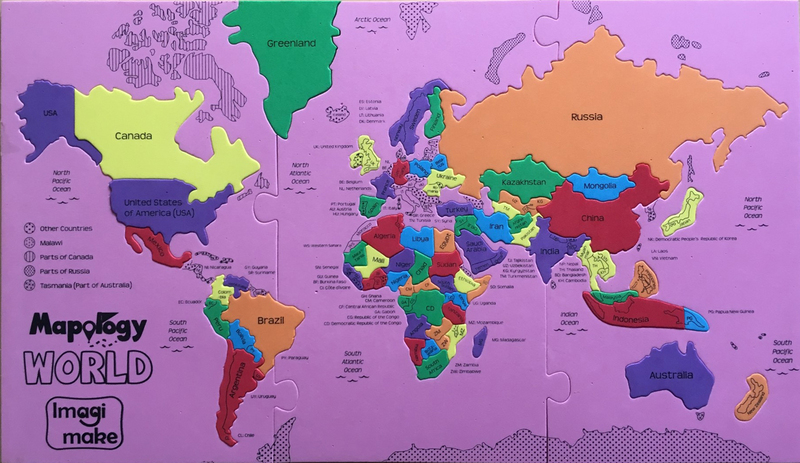 It contains one foam frame set, 32 puzzle pieces cut in the shape of the respective country to understand what fits where. 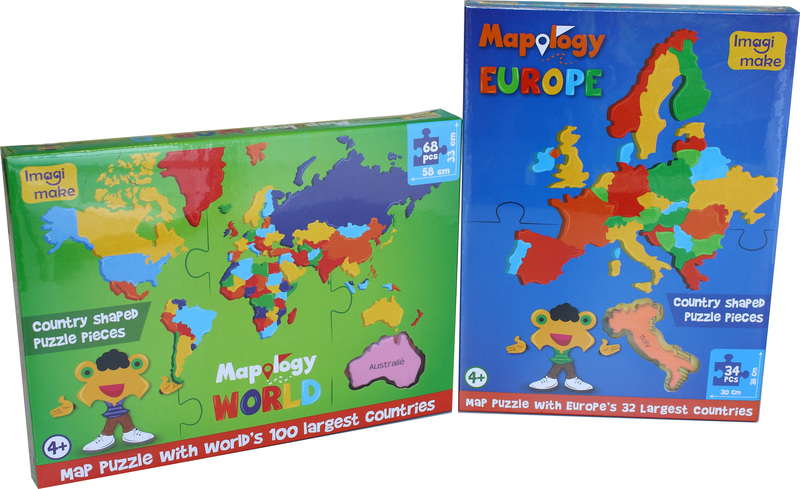 One by one assemble all the pieces and you have your Mapology Europe ready, play again and again to master your geography. 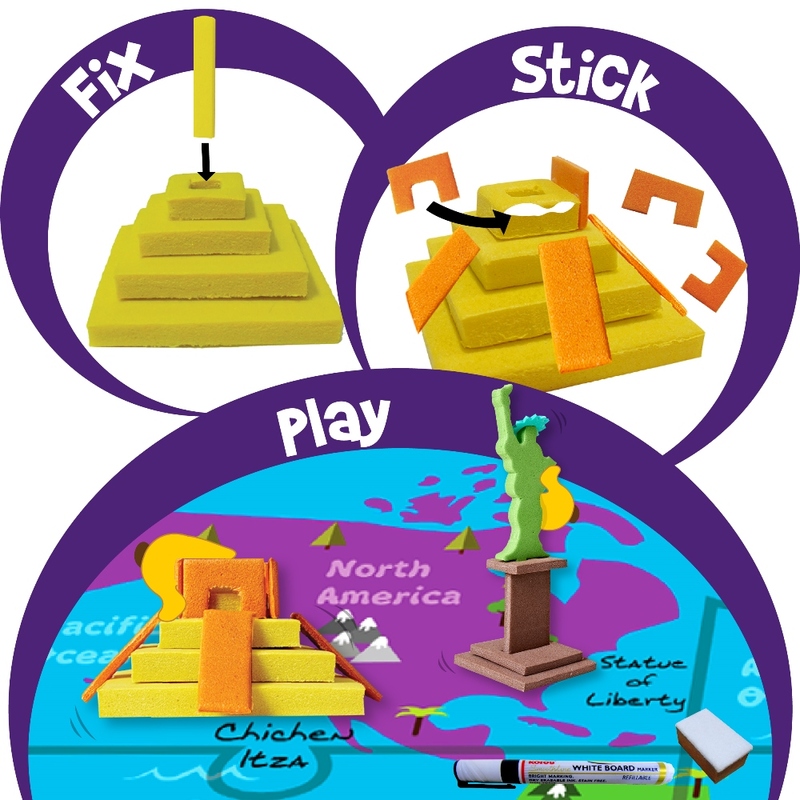 A unique playset which combines model making, puzzles and games. 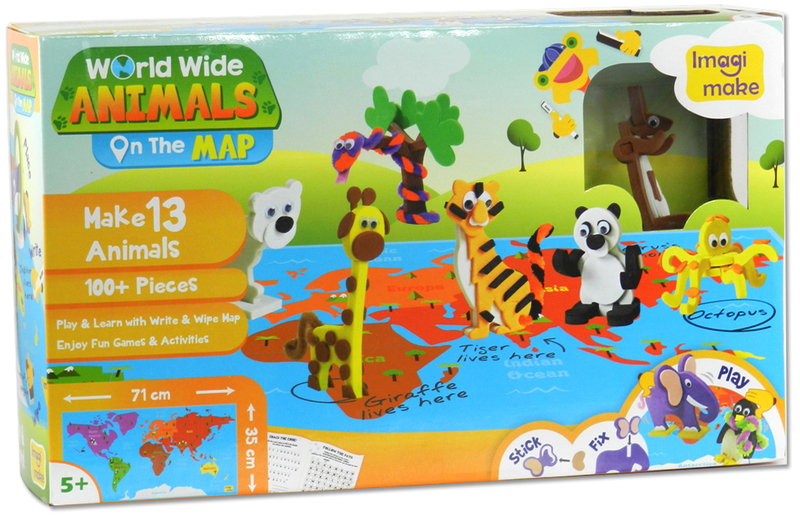 Create miniature models of 13 Animals from around the world and place it on the write and wipe map. Comes with a fun and educational games and activity book. 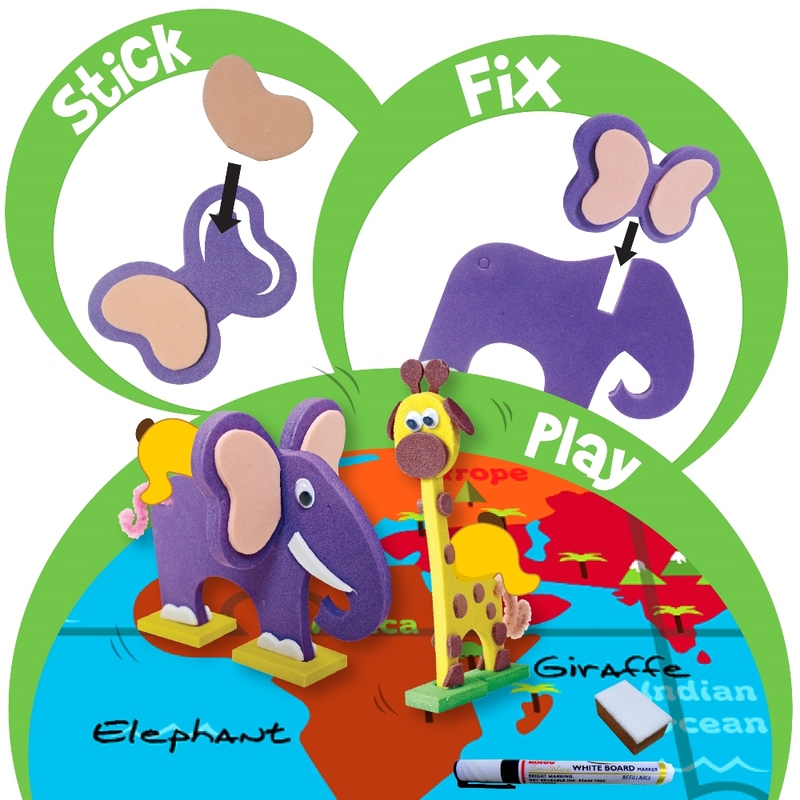 A unique playset which combines model making, puzzles and games. 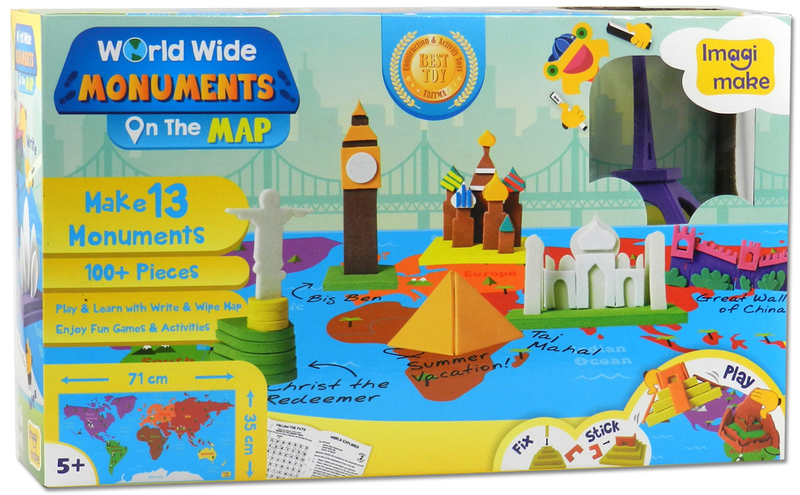 Create miniature (3-5 inch) models of 13 Monuments including 7 Wonders of the World.